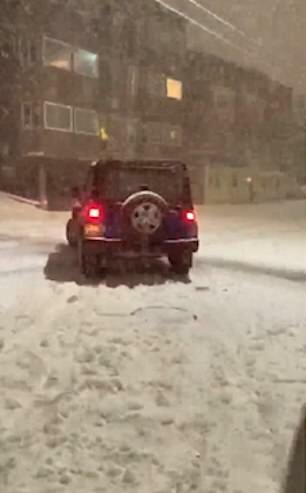 A Seattle woman has been filmed driving at a group of men after she claimed a snowball hit her jeep. 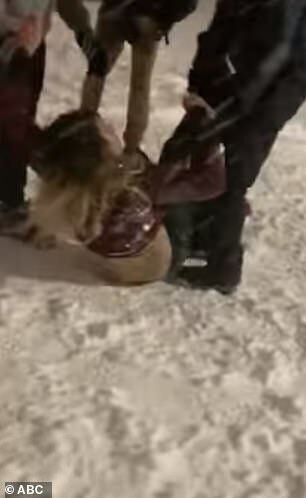 The woman is seen mounting the snow-covered sidewalks in the Capitol Hill area of the city and accelerating towards a group of people, who had to run out of the way to avoid being knocked over. ‘Oh my god!’ the filmer can be heard saying in the video as the Jeep nearly runs over the group. Once the Jeep comes to a halt, the woman gets out of the car and approaches one of the passersby, throwing punches at the man. ‘You got it … inside my motherf***ing car!’ she shouts as she runs over towards him. The driver is eventually restrained by three men. ‘Let go of my motherf***ing leg!’ the woman demands. The lady then suggests the men call the police. When they arrive on scene she was arrested. 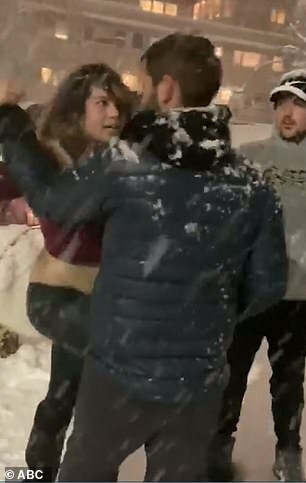 The filmer later explained: ‘My brother, friends, and random strangers in the Capitol Hill neighborhood of Seattle came together for an impromptu snowball fight Sunday evening at approximately 7pm. 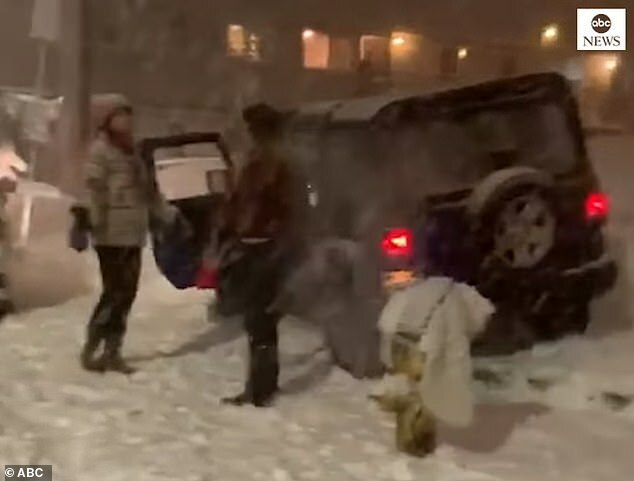 ‘We were all throwing snowballs from one side of the street to the other, and according to the driver of the vehicle, a snowball had hit her car as she drove past. ‘No confrontation between the folks playing in the snow and the driver occurred at this time. ‘About 10 minutes later, however, she circled back around and became increasingly aggressive with her driving. ‘She drove right towards me and came within inches of my legs, nearly driving through the ‘road closed’ barricade, which I was standing behind. ‘This is when I suspected something was seriously wrong and began recording. 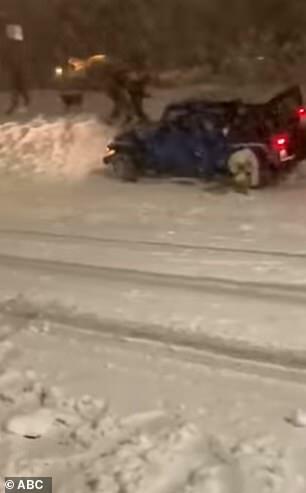 ‘As you can see in the video, the girl driving the Jeep got her car stuck on the hill, and a woman watching from her window called 911.